The 2012 Aussie Millions $250,000 Super High Roller began on Saturday and lasted into the early hours of the morning on Sunday. 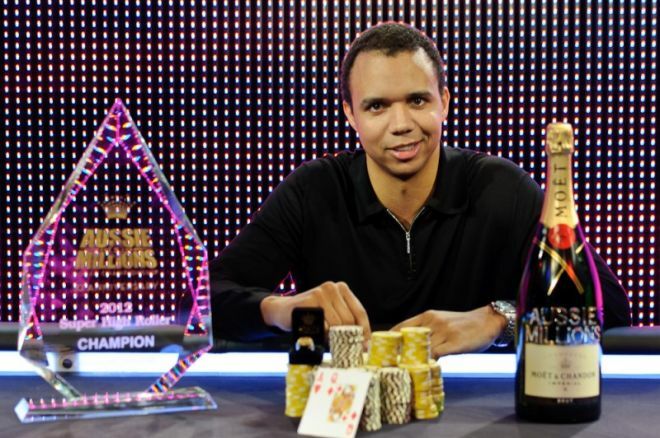 As the sun started to rise in beautiful Melbourne, Phil Ivey shipped the $2,000,000 first-place prize after defeating Patrik Antonius heads up, officially welcoming himself back into the poker world as if he had never left. It was just a handful of months ago that Ivey disappeared from live tournament poker before returning in November at the APPT Macau. He didn't cash there, but here at the Aussie Millions, Ivey made a couple of really big splashes. First, he placed 12th in the Main Event for $100,000, and then went on to ship the largest score of his career by winning the Super High Roller. 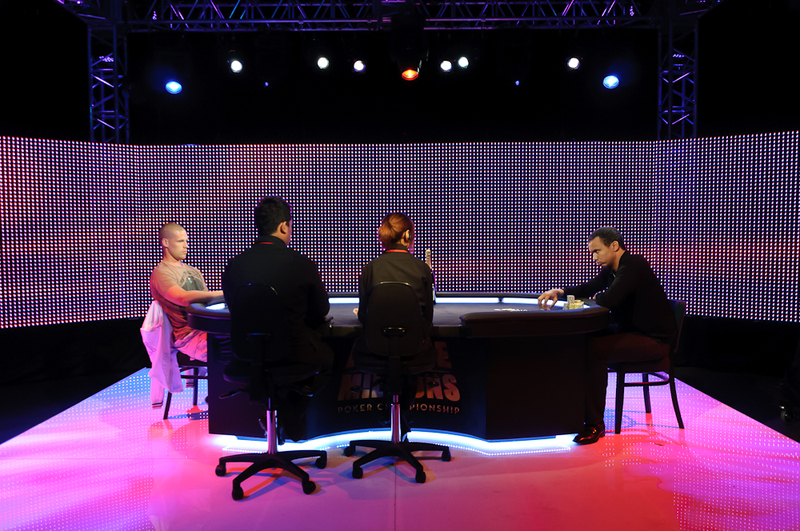 The event attracted 16 players, all of whom ponied up the massive six-figure buy-in to take part in the event. The top three spots were set to be paid and a bubble of $800,000 was in store. Among the stars taking part in the event were last year's champion Erik Seidel, last year's runner-up Sam Trickett, Tom Dwan, Jason Mercier, John Juanda and Sorel Mizzi. In addition, the event had a handful of businessmen on the felt, including Richard Yong, Paul Phua and Winfred Yu. The first player eliminated was Dwan, who fell at the hands of Gus Hansen. After the elimination of Nick Wong, Seidel busted during Level 5 with the blinds at 3,000/6,000/500. He was sent out the door by $100,000 Challenge winner Dan Smith after his pocket eights couldn't overcome Smith's jacks. After Yu bowed out in sixth place and Mizzi in fifth, the largest bubble of the year was set to take place. The two players joining Ivey and Antonius were Daniel Negreanu and Gus Hansen. From that group, the only man not getting a huge chunk of cash was Negreanu, who turned out to be the bubble boy. On his final hand, Negreanu was all in from the big blind with the during the 25,000/50,000/5,000 level for around 750,000 after Antonius raised to 100,000 from the button. Antonius called holding the and was able to hold up as the board ran out . Hansen was the next to go, collecting $800,000 for his finish after getting all in on the flop with the against Ivey's . The turn was the to give Ivey a full house and then the river completed the board with the to finish things off. When heads-up play began, Ivey held a slight lead with 2.2 million in chips to Antonius' 1.8 million. He won a big pot about 45 minutes into the match to extend his lead to seven-to-one before the final hand came up. Antonius moved all in with the from the button and Ivey made the call with the . Although the flop put Antonius in front, the on the turn catapulted Ivey back into the lead. He held on from there as the landed on the river and Antonius was eliminated in second place. For his runner-up finish, Antonius scooped $1,200,000. With his win, Ivey leaps over Negreanu into second place on the all-time money list. Even with his long absence from tournament, Ivey took to the Aussie Millions with a vengeance and has put himself right back in position as, what many consider, the greatest player on Earth. The PokerNews Live Reporting Team will be on hand for the final day of the 2012 Aussie Millions Main Event on Sunday. In addition, the final two event of the 2012 Aussie Millions Poker Championship, the $550 Australian Poker Hall of Fame Classic and the $10,500 8-Game Mixed Event, will kick off.